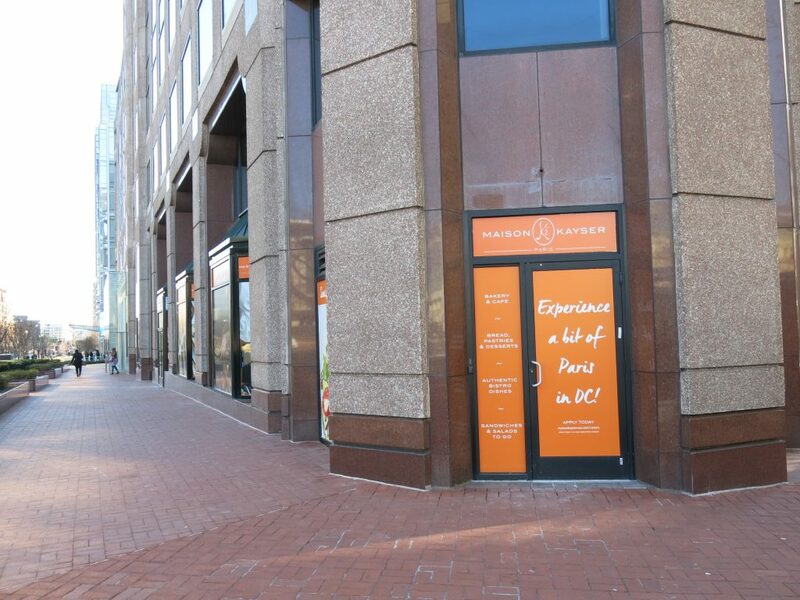 PoPville » Mark It – Maison Kayser Opening F Street Today!! Mass. Ave Next Thursday!! “Maison Kayser, the celebrated boulangerie and café from France, opens its first location in Washington, DC today at 1345 F Street NW. 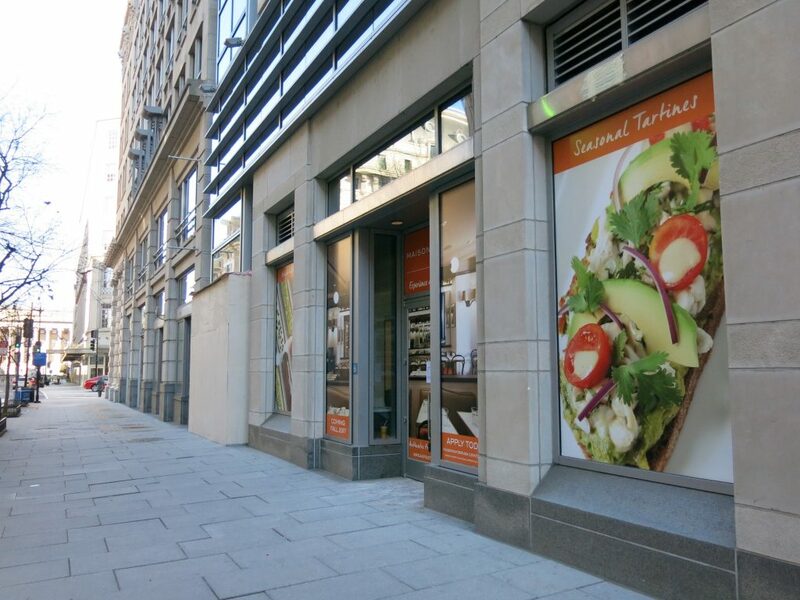 An additional Maison Kayser location will follow in the city, opening at 650 Massachusetts Avenue NW on February 15. Maison Kayser’s new DC locations feature the brand’s award-winning bread, which is made on site, from start to finish and throughout the day, by a team of dedicated bakers. Founded by Eric Kayser in Paris in 1996, Maison Kayser is an authentic artisanal French boulangerie and café, where bread and other baked goods are mixed and baked daily. A fifth-generation baker, Eric blends time-honored processes with innovation to always ensure the best quality possible. Eric trains his bakers to source only the best ingredients, such as non-bleached flour made without additives or added sugar, and follow ancestral recipes to showcase bread making in its purest form, crafting the bread in the same way it has been made for centuries. “We are thrilled to bring Maison Kayser to Washington, DC. I love spending time in this city and I cannot wait for Washingtonians to get to know us as their neighbors – whether they are coming in for a morning coffee, stopping in for a baguette on their walk home, or joining us for a cozy dinner,” says founder Eric Kayser. To celebrate the opening in our nation’s capital, Eric Kayser created a special bread, Ancient Grains Bread, that will be available exclusively in Maison Kayser’s DC stores starting on February 12. The Ancient Grains Bread takes Eric’s philosophy to the next level, as it is made with a rare wheat flour derived from ancient grains sourced in very limited quantities from an area in France where, historically, the peasants maintained their independence with seed companies. Today, these grains are highly sought after as they represent and embrace traditional bread making processes. In addition to its world-renowned bread, both Maison Kayser locations feature an array of French pastries and viennoiseries including their award-winning baguettes, pain au chocolat, and best-selling almond croissants, a selection of grab-and-go items, and a French style sit-down café. The same commitment to sourcing and using quality ingredients extends to Maison Kayser’s café, which offers a decadent menu of French, seasonal favorites for breakfast, lunch, and dinner. Guests will be able to enjoy Eric’s favorite French staples including Croque-Madame, Boeuf Bourguinon, Gratinée à L’Oignon, and Poulet Sauce Suprême aux Champignons, smaller bites like the classic Rillette de Canard, Salade Niçoise, and the Traditional Alsatian Quiche; as well as a variety of signature coffees, teas, and fresh juices. Pepperoni Chic coming to former Straw, Stick and Brick space on Georgia Ave!